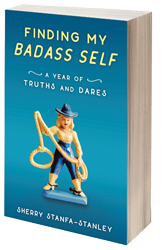 Sherry Stanfa-Stanley is the award-winning author of “Finding My Badass Self: A Year of Truths and Dares,” which chronicles her year of embarking on 52 hilarious and inspiring weekly challenges. 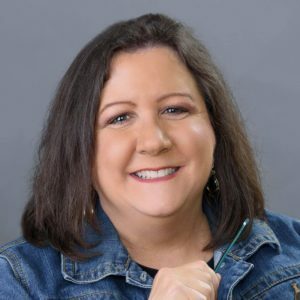 Sherry is a writer, humorist, and squeamish adventurer who writes about her midlife escapades and other topics on Facebook (The 52 at 52 Project) and also blogs. By day, Sherry attempts to respectably represent her alma mater as a communication director at The University of Toledo, where she was named one of UT’s Outstanding Women of 2017. An empty nester after raising Son #1 and Son #2, she now indulges a menagerie of badly behaved pets.